This account is similar to our Youth Account but starts to transition the account holder to handle their finances independently. Account statements are mailed quarterly or monthly with an active checking and there are no monthly service fees. Teen Advantage Savings members are eligible for ATM and Debit cards. Both the ATM and debit card offer Surcharge Free ATM access at all PNC and CU$ networks. A parent or legal guardian must be joint owner on this account. As teens are more tech-savvy, Free online banking, eStatements and mobile banking might be a good addition to this account.You may also download our free CardValet mobile app to “Freeze” your debit card and protect against fraud. 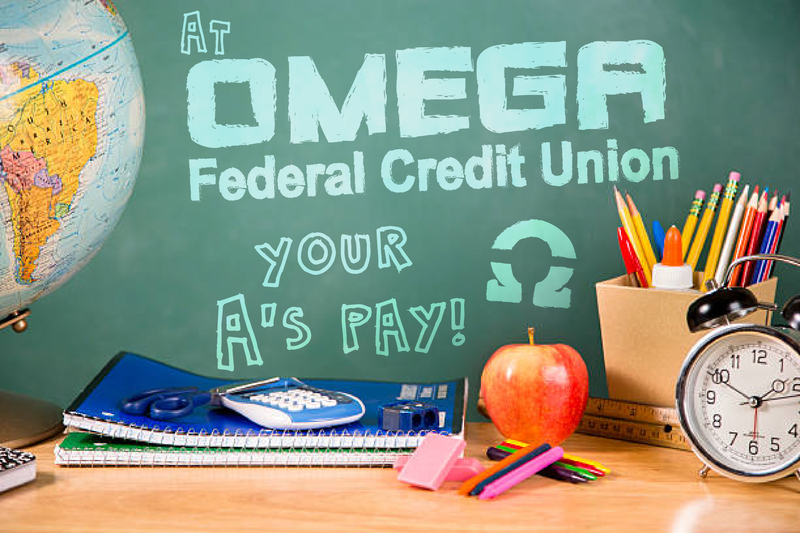 If you would like an application for the Teen Advantage Savings Account, Click Here to print and mail or drop off, fax to 412-369-3828, or email to ofcumembers@omegafcu.com. If you would like an application for a Teen Advantage Checking Account with a Debit Card, Click Here. If you need more information, please call 412-369-3800. *At age 18, Teen Advantage Accounts are transferred to the regular membership account. Our Teen Members love our A’s Pays Program!